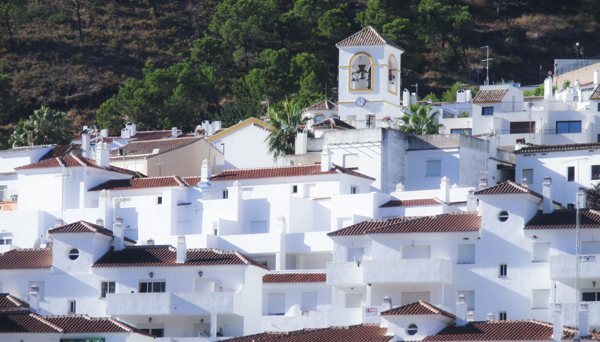 We have hundreds of apartments, villas and townhouses for long term rental in and around the Marbella, Estepona and Mijas areas. The information is updated daily, but if you do not see a property that suits your needs then please contact us and one of our team will be happy to help you find your perfect home. So if you are looking for long term rentals on the Costa del Sol please call us on +34 952 883 985. These are our most requested locations on the Costa del Sol. Situated on southern Spain’s Costa del Sol in the region of Andalusia. It has become known as a glamorous resort town and is a favourite location of the rich and famous. To the west of the town is the Golden Mile with its prestigious nightclubs, luxury villas and apartments. This leads onto Puerto Banús marina, filled with luxury yachts, restaurants and busy nightlife. The village of Benahavis is just a 10 minute drive from the main coast road. This charming traditional white washed village has remained remarkably unspoilt, with its narrow roads and superb restaurants. To the west of Benahavis is the exclusive private development of La Zagaleta it also has 9 golf courses and a luxury 5 star Hotel Villa Padierna. Located 25 kms west of Marbella Town it has maintained its charm and character, even though it has become a tourist hotspot to visit. There are many street cafes and tapas bars still serving traditional Spanish delicacies. You'll also find unusual shops and bodegas which are friendly and cheap. Plus at the western end of the town is the port and harbour with all the boats and frontline cafes and restaurants you would expect. Due to the increasing demand over recent years for quality long term rentals, One Marbella has incorporated Long Term Rentals Marbella, a dedicated luxury rental department to deal with the increased number of Marbella rentals enquires. We are centrally based in Marbella but cover many locations starting from La Cala de Mijas all the way up to Estepona and beyond. Having many years of experience in the real estate sector and a vast local knowledge we can help you decide which areas best suit your particular needs. For example local schools, walking distance to amenities, golf clubs, best beaches etc. The Costa del Sol and in particular Marbella has a unique weather system with an enviable all year round Mediterranean climate and over 300 days of sunshine each year. However, it offers much more than just sunshine; it’s a buzzing town, but still retaining its old style charm and a melting pot of cultures from all over the world. If you do not yet live in Spain and need help with any aspect of your move then our staff are here to assist. Also when making an enquiry with us you have the additional comfort that all members of staff are fluent English Speaking, so no translation necessary. If you are looking to rent a property here in Marbella, be it a villa, penthouse, apartment, or townhouse then contact us now. Our database of available properties is updated on a daily basis so please take a few moments to browse through this site. The One Marbella Group team was instrumental in our home buying process. Within 24 hours of contacting the agency, they went to work right away helping us in our search.